New life for Ridge Ave. firehouse? Reviewed by Edgeville Buzz on August 17, 2010 . 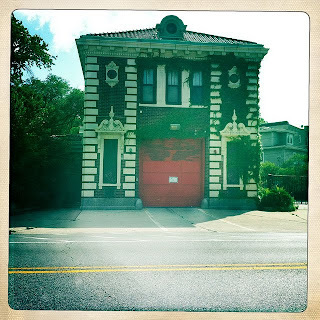 New life for Ridge Ave. firehouse? A reader emailed us recently to report some interesting progress at the former firehouse on Ridge Ave…. Have you heard anything about what is going on with the firehouse on Ridge Avenue? The past few days, there have been people inside working, and last night it appeared there was some sort of theatrical performance taking place. Just wondering if there are any new plans for the building?